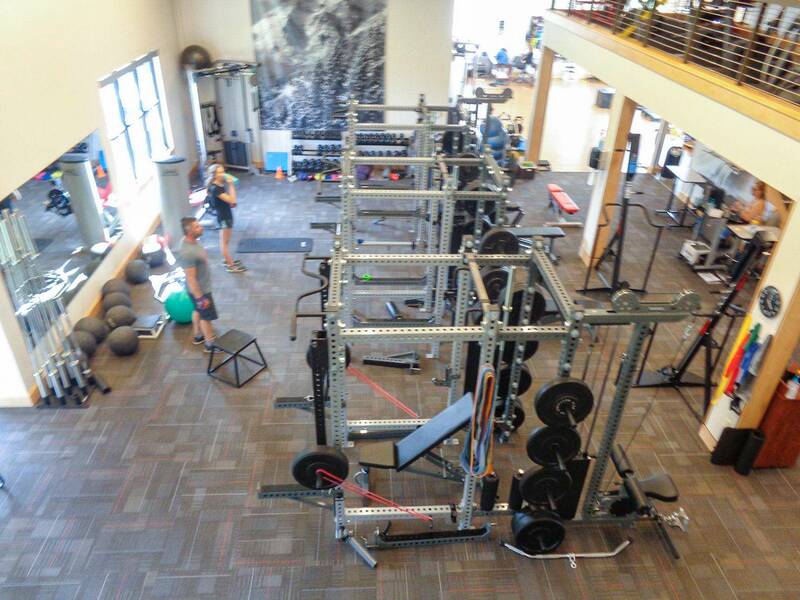 Bridger Orthopedic’s fitness facility has taken a new appearance over the last few months. Our therapy and fitness patronage are evolving, so we have been working to update our facility to better accommodate a wider range ages and fitness levels without over-crowding the available space. The large new stations on the first floor of the facility are made by the family-owned Sorinex company, whose core values of community and attention to customer service do not vary from our own, and while at first glance they can seem quite intimidating, we assure you that the new equipment is easily manipulated to replicate every piece of familiar equipment that was removed and improves the function of the facility by increasing exercise versatility without eliminating all free fitness floor space. Within the next few weeks we our staff will be hosting information sessions and providing videos and paper handouts that will give detailed instruction regarding the use and safety of the new equipment. Additionally, we are always available to answer questions and address concerns as they arise. As a fitness facility in a very active community, it is our primary goal to satisfy the needs of our entire membership. We value each one you, and we want you to feel comfortable with the new equipment. We truly feel that what the facility can now offer in terms of equipment is a state-of-the-art upgrade that will only enhance your fitness experience and your function, and we are confident that with proper instruction and practice, you will agree and recognize that this is a change for the better. Please be patient with us as we fine-tune the new pieces for optimal performance and flow, and feel free to provide any feedback in the form of comments, concerns, or questions to any member of the staff. If we are unable to provide an immediate, direct response, we ensure that your feedback will be received and ultimately addressed in a timely manner. We are very excited to continue to support your fitness journey, helping you reach established goals and create new ones you may have previously not thought possible.